So which is it? What’s to gain and lose from online dating? 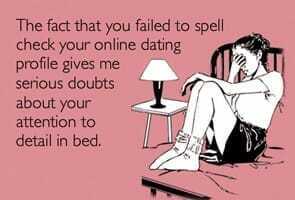 You’re never reminded of the fallibility of human kind as you are when you are online dating. People are weird. They say weird things. They flake out. They make weird requests. The solution: Just expect it, practice safety and take it for what it is. And remind yourself that you just have to find one good one. 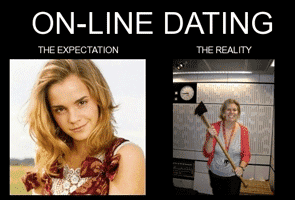 Online dating can take a lot of time. At first it sounds fun to shop around for new folks, but then you get eye-strain and realize everyone sounds the same and you can’t tell if you like them. Everything in moderation — just like the good doctor tells you. Try not to crash and burn, or hire it out. There are companies like mine that take the weight off. Everybody gets rejected at one time or another online. I don’t care who you are. Everybody gets rejected or neglected at one time or another online. The solution: Stick to people in your league/level from their looks, age, occupation, location — it will increase your chances. And don’t put stock into anything or anyone until you’ve met. The hottie online is often a nottie in real life. The paradox of choice teaches us that the more options we have, the unhappier we are and the more paralyzed we become to choose. I have this problem whenever I try to buy a nice cheese. The grocery store has a wall of them, and I really have no idea how to tell if I’m going to like a random one. It’s overwhelming, and it stresses me out. I often wonder if I got the right one. If there were three choices, I’d be like, cool, I found cheese. 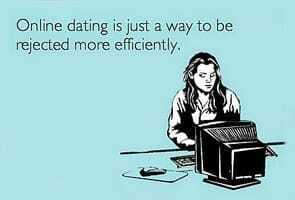 Online daters do the same thing with people. The solution: Try to slow your roll. Sure there are lots of people online and the grass can always feel greener for another date. Practice the idea that you’re just meeting people to know if they qualify for second place, not for life partner status. The solution: Not much you can do here besides suggesting some helpful tips to them, and they may freak out at you. Just remind yourself it’s part of the deal, or send them my contact info. Join the chorus. You can’t stop this. It’s going to happen. The solution: Check the options on the service you’re using. They can often help you filter, block and report unsolicited/ egregious behavior. 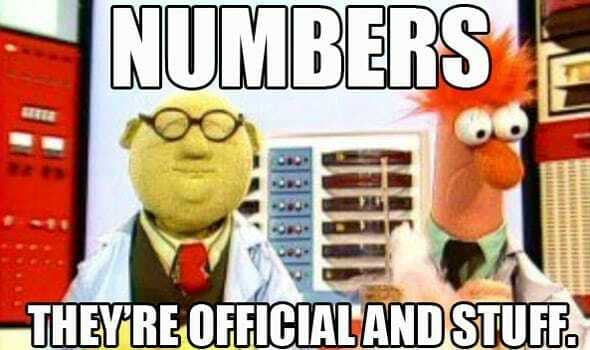 The geniuses behind dating sites are trying to solve this in a number of different ways. The solution: Until then, keep your expectations in check. Assume nothing from your dates before you’ve met. Hope to make a new friend who can teach you a thing or two. If something more is there, it’s just a bonus. No guessing games. Single and looking. That’s valuable intel. There are a ton of people online. No single other avenue gives you access to more singles. Religion, politics, family. Important stuff is there. Going out can be expensive, and it doesn’t come with any guarantees. Matchmakers cost thousands of dollars, even as much as $50,000. I’m not joking. You can do this free or pay a max of about $40/mo. A small investment to the potential of finding your soul mate. So maybe your date wasn’t a love connection, but they are a heck of a CPA and you could use a tax break. You’re a catch and you’re looking online, so it’s plausible your counterpart is, too. Online dating is a spoke-in-the-wheel to help you find them. The bottom line is if you view online dating as a way to introduce yourself to people you may not meet otherwise, it will always come out as a benefit. If you start expecting it to churn out the perfect person, you’re going to be let down. Your mindset is everything. What aspects do you love and hate about online dating?